"Does it transform me? Seeing music as something to discover, to constantly find new sources of inspiration or interest even.. This resulted in the mindset that has led me to choose these artists." Recently, we also shared a video portrait we made of Shabaka in Utrecht and London, where he discusses his curated program at the festival, as well as his latest album with Sons of Kemet, and signing to the acclaimed Impulse! label. Watch below. Want to dig in even further? Read our features on Paddy Steer's Otherworldly & Wonderful DIY Weirdcraft and Kadri Gopalnath: a lifetime of pioneering Indian Carnatic music. "Kadri Gopalnath, amazing. I started to listen to him, and I was like: I've never heard anything like it. This is literally blowing me away in terms of the function of the saxophone. I'd really like to see this guy play, because I've never seen him play in any part of the world that I've been in. I don't know what the gig's going to be like, but for me, this is a part of it. It's actually the audience discovering, with me, who this saxophone player is right now." 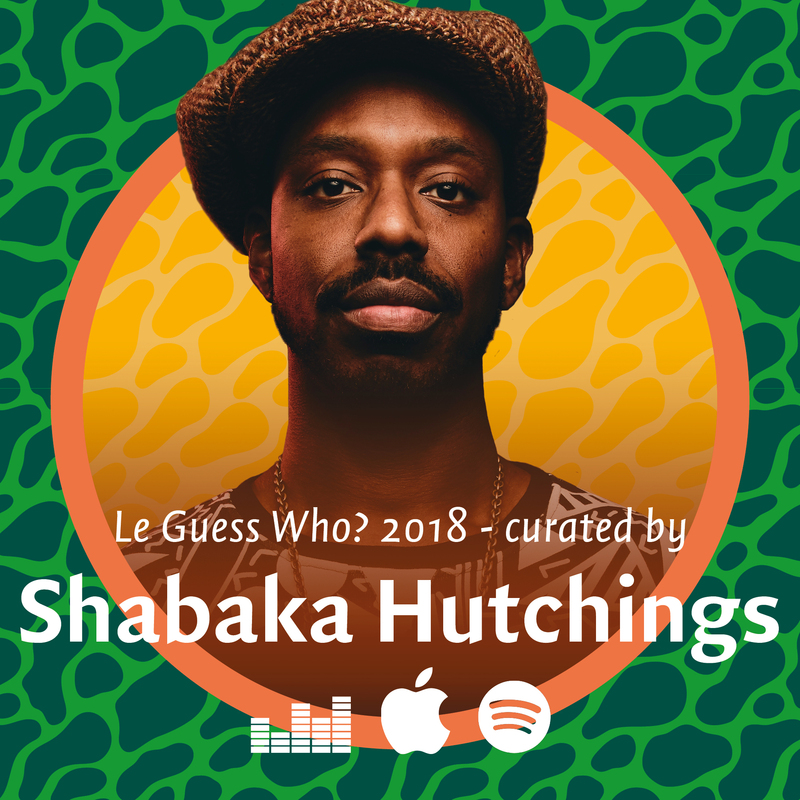 Shabaka Hutchings' curated program at Le Guess Who? 2018 features Kadri Gopalnath, Sons of Kemet XL, Kojey Radical, BCUC, Sibusile Xaba, Bo Ningen, DJ Noss, Hello Skinny, Ill Considered, King Ayisoba, Orchestra of Spheres, Paddy Steer, STUFF., and The Comet is Coming.